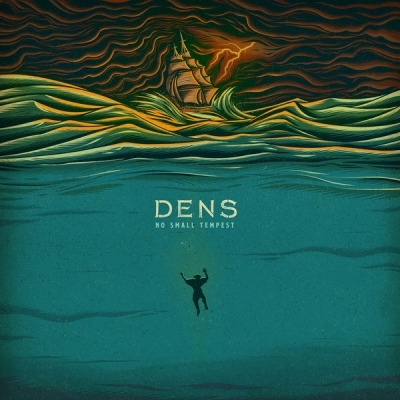 Facedown Records has announced the release of 'No Small Tempest', DENS' highly anticipated four-song follow up to 'Small Seeds', available from June 29. DENS have found a perfect niche in the space between energetic rock and contemplative ambience. They create an experience that drowns the listener in guitar-driven post-rock and vocal hooks while leaving plenty of room for lyrical exploration. From a wide view DENS are a rock band, although the nuances in their sound send tendrils out into shoegaze, ambient, post-rock, and indie rock concepts. These subtleties put them right at home with Facedown labelmates My Epic, Everything In Slow Motion, and Comrades. DENS find their mission in using music as a platform to creatively and honestly explore the themes of faith, hope, redemption and grace. The band self-released their debut “From Small Seeds Come Giant Trees” in 2016, and the single “Hopebringer” with Come&Live in 2017.